Featuring Slide-Lok brand garage cabinets, and York Garage Supply Polyaspartic formulated floor coatings! 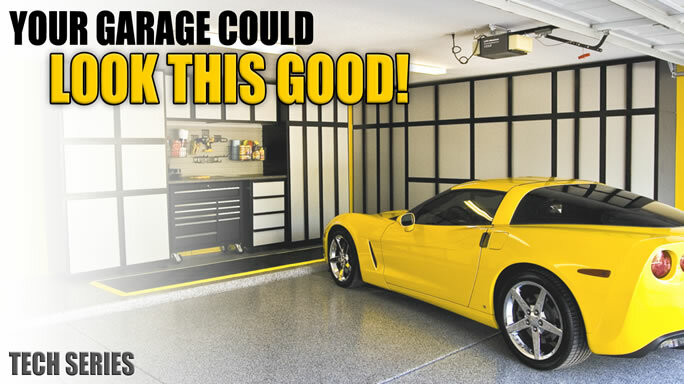 Decorating your garage with quality cabinets, slat-wall, overhead racks, and a beautiful floor couldn't be any easier. Whatever your garage requires, York Garage Supply is here to assist you. York Garage Supply is the North American leader when it comes to providing high quality, long lasting garage interiors. For more info contact us.